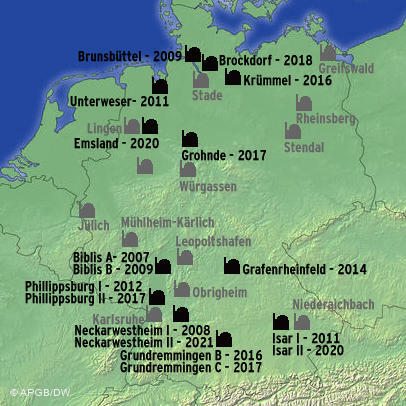 Germany has become the first nation after the Japan fallout to announce a complete shut down of Nuclear Power Plants by 2022. Way to go Germany. You deserve a standing applause! Nuclear Energy which was once thought to be a blessing for Power generator has became an headache since its origin. In the span of 50 years, we came across so many Nuclear related accidents . But still the world leaders chose to be mum. The Earthquake that rattled the Super power Japan with almost destroying the country and leading it to recession has finally made the world leaders to see sense. Environment Minister Norbert Rottgen said the seven oldest reactors – which were taken offline for a safety review immediately after the Japanese crisis – would never be used again. An eighth plant – the Kruemmel facility in northern Germany, which was already offline and has been plagued by technical problems, would also be shut down for good. Mr Rottgen said a tax on spent fuel rods, expected to raise 2.3bn euros (£1.9bn) a year from this year, would remain despite the shutdown. In the image below, the number of reactors and their schedule closure is listed in it. Whats your reaction on Germany’s brave move? Do you want your nation to follow Germany’s path? Share with us your views. Blood test will reveal your lifespan!